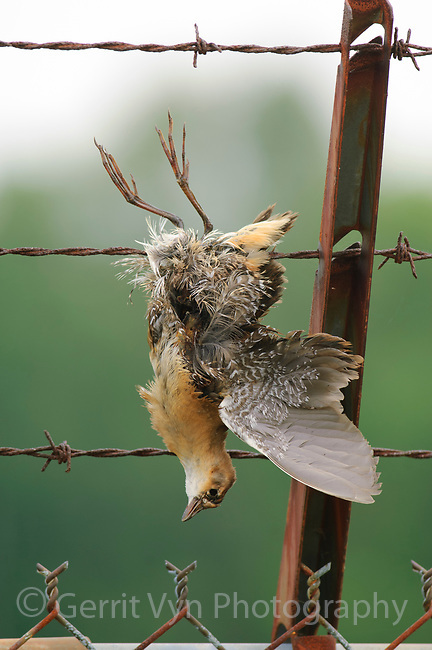 Dead juvenile Sora (Porzana carolina) caught in a barbed wire fence. Birds are often caught when they strike barbed wire fences in flight and get entangled. Tompkins County, New York. August.